Prior to joining CrossFit Central I was a cardio junkie and did lots of triathlons. I spent a lot of time (often 10-12 hours a week) swimming, biking, and running, but I was never actually very fast or fit. I wasn’t really getting any better and I needed some motivation. I gave CrossFit Central a try because I heard the coaches were good and the people who went there got results. The coaches do more than just coach people during class. They help everyone with their diet, exercise, and entire lifestyle — and that is what I needed. The biggest change for me since starting at CrossFit Central has been my diet. Before I started, my meals for a typical day would be cereal for breakfast, a sandwich for lunch, and a frozen entree or pizza for dinner. Bad habits are hard to break, so changing my diet didn’t happen overnight. It was a long process that took a couple of years before I was finally settled with a new way of eating. First I swapped out eggs for the cereal. That was a hard adjustment because I had eaten cereal for breakfast almost every day of my life. Later I started cooking healthier dinners, typically meat or fish and vegetables or a spinach salad. I am lucky that I can get a healthy salad with protein for lunch at work. Now my diet is much higher in protein and vegetables, and I’ve had noticeable improvements in body composition as a result. I’ve also seen huge strength gains. I had never picked up a barbell before I walked into CrossFit Central, so I was starting from a low base. But I have seen my max clean go from 50 lbs. to 135 lbs., and my back squat has gone from 95 lbs. to 205 lbs.. I’ve also gotten many of the gymnastic movements down solid. 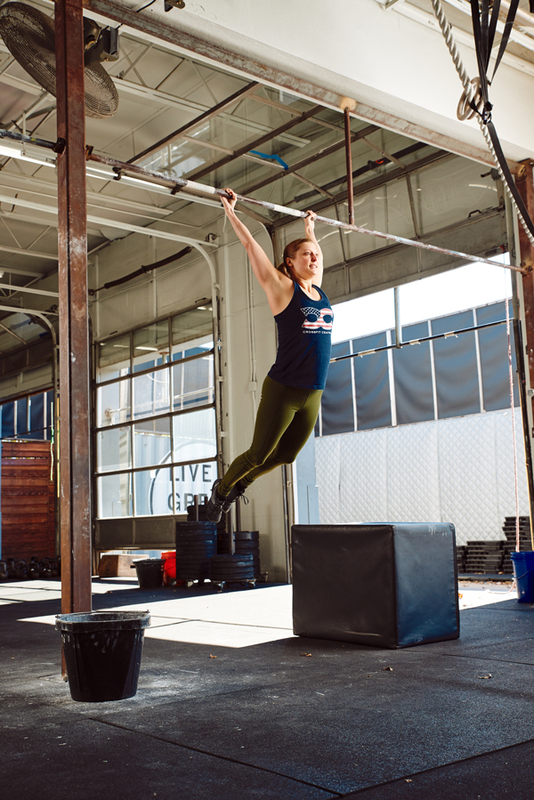 When I first started, I could barely hold onto the pull-up bar and only did jumping pull-ups. Eventually on Memorial Day of 2016 I got my very first pull-up without any bands, although it took a couple of kips to get my chin over the bar. This past Memorial Day, I did 100 pull-ups during the Memorial Day Murph WOD. Now movements that I never considered to be in the realm of possibility, like muscle-ups, are coming into view. One of the best things about the morning classes at CrossFit Central is that it puts me in a good mood for the rest of the day. The encouragement and support that I get from my classmates and coaches inspires me to be a better person and make smart decisions throughout the day.